It's a fair guess that Call of Duty: Modern Warfare 3 will follow in the footsteps of last year's Call of Duty: Black Ops, shattering sales records and bringing even more people to video games. But it's typically not the single player campaign, detailed here, that draws in those record-breaking numbers. While many, including myself, enjoy the Call of Duty campaigns, it's the multiplayer that has managed to shift the Call of Duty franchise from a video game to something more akin to a sport. People play pick-up games of Black Ops, Modern Warfare 2, even Modern Warfare, like they play games of baseball, soccer or shoot some hoops. Like it or not, consider it innovative or rehashed gameplay, the Call of Duty franchise has in many ways transcended what it is to be a video game. So here's your first, unofficial look at what we can expect from the bread and butter, the heart of Modern Warfare 3 when it hits this fall. Do keep in mind that while the details of the game's single player campaign, first reported by Kotaku via inside sources and later seemingly verified with the official release of a trailer and matching levels, are likely mostly locked in stone, what is delivered with multiplayer could easily shift as the team works to polish and balance the game in the months leading up to release. Multiplayer is also often tweaked after the game hits. It also receives a number of downloadable content packs post launch. With the advent of Elite, that's even more likely. That being said, here's what our inside sources are telling us is the current state of multiplayer. The game's multiplayer will be divided into cooperative Special Ops maps and traditional multiplayer maps. There will be no zombie modes in this game, not a surprise since zombies were introduced to the Call of Duty franchise by Treyarch and have, so far, popped up only in the Treyarch-developed games. Special Ops will include both a survival, horde-like mode and a mission mode, with a total of a dozen maps and missions to choose from between the two. As we've previously reported, there are 20 maps being worked on for Modern Warfare 3's multiplayer. It is unclear how many multiplayer and Spec Ops maps and missions will come with the game and how many will be sold at a later date as add-on downloadable content. Key to the multiplayer experience is the ability for players to level up their characters and unlock perks to modify the effectiveness of their equipment, character and enemy equipment. The multiplayer matches also include killstreaks, which are special one-time rewards that are unlocked after a player kills other players a set number of times without dying. As could be expected, developers Infinity Ward and Sledgehammer Games have been working to tweak both killstreaks and perks for Modern Warfare 3. The biggest new addition to the game that we've heard of so far is the creation of Team Perks. These are perks that a team can work toward to earn. It is unclear whether this will be tied to clans or some other team system, but their inclusion could help push the game into a more team-driven title, something the premium Elite service is likely to tie into. UPDATE: Robert Bowling, creative strategist at Infinity Ward, tweeted that "team perks" is not in the game. He later clarified that Modern Warfare 3's multiplayer would nave "no such thing" as team perks. We're not clear on how many or which previous perks will be coming to the game, but it sounds like the ones that do return will do so from Modern Warfare 2, not Black Ops. While it's likely that some of the killstreaks will drop out or be added in, we've been told that the team has decided to remove the controversial Tactical Nuke killstreak from the game. Other tweaks being looked at by the team include making sure things like exploding barrels not counting toward a player's killstreak tally. Activision was contacted prior to this story's publication and declined to comment. However, Robert Bowling, creative strategist at Infinity Ward, later tweeted about the story confirming that Tactical Nukes had been removed from the game and that the game will not have the stopping power perk. He also tweeted that "team perks" were not in the game. He later clarified that Modern Warfare 3's multiplayer would nave "no such thing" as team perks. 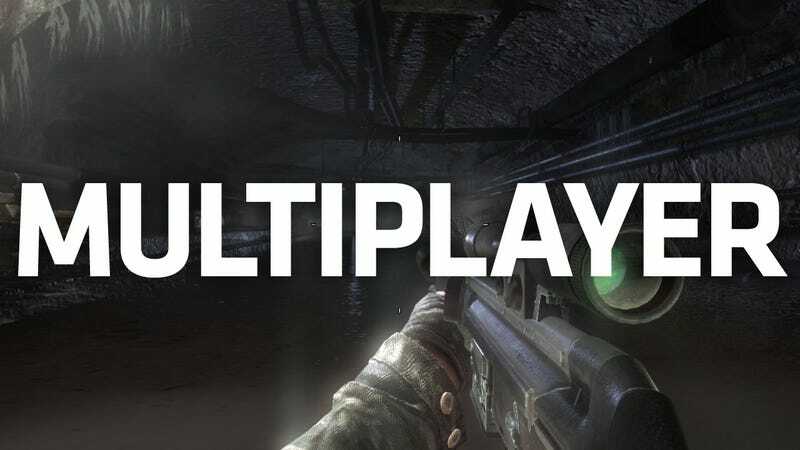 He also reiterated that, as we initially reported, the multiplayer for Modern Warfare 3 is still in development and that not everything has been locked down. Modern Warfare 3 in Action Leaves Me Wanting... But What? Modern war in modern cities: Gunfights in the walled canyons of New York City's Financial District, rolling battles in the subterranean train tunnels of London. The people who make Call of Duty keep promising that they won't charge you extra to play their hit game against other people. They shoot down any fears that they're going to turn CoD multiplayer into a pay-per-month subscription service, a la World of Warcraft or HBO.